Foreign affairs practitioners and policy analysts claim that international arms embargoes usually fail due to the lack of political will among national governments to implement and enforce these restrictions. This volume confronts this critique directly, first by describing a more nuanced assessment of success, and then by presenting well-informed empirical and case-study chapters that reveal arms embargoes to be more effective than often understood. The chapters in this book examine some of the more complex cases of arms embargoes such as Iraq, Pakistan, Angola, Liberia and the Great Lakes region of Africa. Readers will find data and assessments not available in prior studies, as well as frameworks that can be replicated in future research. 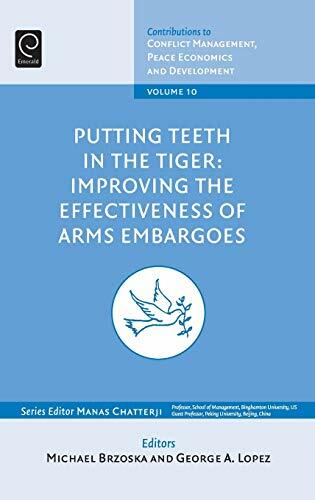 The book concludes with policy suggestions for how arms embargoes might be strengthened and their political objectives more readily attained.